Five Charlottesville nonprofits are teaming up to make it easier for families and patients receiving care at UVA Children’s Hospital to find a place to stay. Karin Skeen, UVA’s associate chief of women’s and children’s services, saw there wasn’t a streamlined process for UVA Children’s Hospital families to find housing that best met their needs for their stays in Charlottesville. So she worked with the nonprofits to create the UVA Children’s Hospital Housing Collaborative. Among those benefiting from the housing collaborative has been Woody Jones of New Kent County, Va., whose 16-year-old son Juan received a heart transplant at UVA in January and has remained in Charlottesville during his initial recovery. The Jones family has spent about a month in an Open Arms apartment, which Woody Jones said has helped ease the post-recovery process. 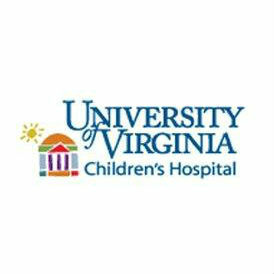 Families visiting UVA Children’s Hospital looking for a place to stay can connect with the housing collaborative by contacting Ronald McDonald House’s Rita Ralston at 434.295.1885. Ralston and Ronald McDonald House then work together with the four other members of the housing collaborative to identify the best place for the family to stay based on the family’s needs and the housing available.